We are neither palmist nor we are astrologers. Being an economist we are just figuring the probable road map for the upcoming events. US FED interest rate hike was a discounted affair soon the focus shifted towards the long term interest rate hikes. I am not astrologer but an economist driven on data and statistical movement where its being envisaged that US might hikes its 2nd interest rates during March 2016. There are many factors which will support the rate hike. As gasoline prices and crude prices are lowest in the decade time frame middle class Americans get enough liquidity in savings in this winter season and further as Christmas and new Year both are around the corner healthy consumption is bound to happen which will get reflected during the Jan –Feb 2016 consumer index data. 2ndly the US lift of export ban from crud will lead to huge inflow of capital for the starving companies which will get reflected in the business index and also on the investment index. It might be very small but that small is big for US. Moving further the Core PCE inflation, which is widely taken into consideration by U.S is forecasted to be around 1.5-1.7% through 2016 which is well aligned to what Fed policy makers expect. Further strong dollar would make import cheaper which goes for more consumption to happen in the winter season. Inflation is not going to pick up so easily which US FED knows as commodity prices are low hence more focus will be on consumption and less on inflation targets. Hence those keeping bet that inflation will not go up hence interest rates will also not go up –better throw off this theory. The biggest concern the global economy will have is the devaluation of currencies to keep their own markets of export to be cheap compared to dollar. This will act as compass for the global economy for the direction of the movement of capital outflows and inflows. In between US economy will have to go for further interest rate hikes as the crude market has plummeted significantly and this has resulted many crude export economies to cut down on budgets and also redeem the Sovereign Wealth Funds and overseas bonds which are being held by them. 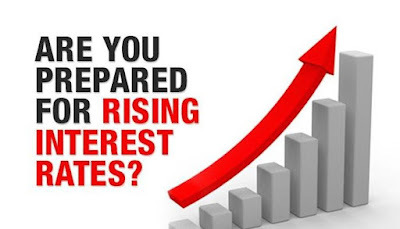 US interest rate hike is going to be a cushion for not redeeming it. US have to go for another round of interest rate hike as they have to stop the redemption of sovereign wealth funds and bonds redemption. . As of March 2015, it is estimated at $7.3 trillion, of which $4.2 trillion are oil and gas related. While there are large differences across sovereign wealth funds, available information on their asset allocation points to a significant share in equities and bonds. Sovereign investments are so big that massive liquidation might happen at any point of time if the crude exporting countries thinks that to keep consumption expenditure in the same lines as its use to be when the crude was $80 per barrel. This will create massive outflow of capital across the globe. Further its being expected that as US gets into an open fight with crude exporting countries in terms of prices a sudden blow might come to the global financial and bond market at point of time. 2016 is going to be cold war.